KRISP Researcher and Fulbright scholar Dr. Eduan Wilkinson news from the US: HiPerGator supercomputer is enabling infectious disease transmission research in UF's Emerging Pathogens Institute. 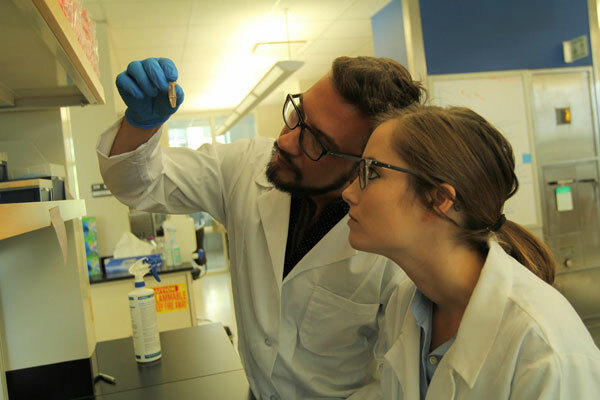 Taylor Paisie and Eduan Wilkinson sequencing Cholera whole genomes in Prof. Marco Salemi's laboratory, University of Florida. 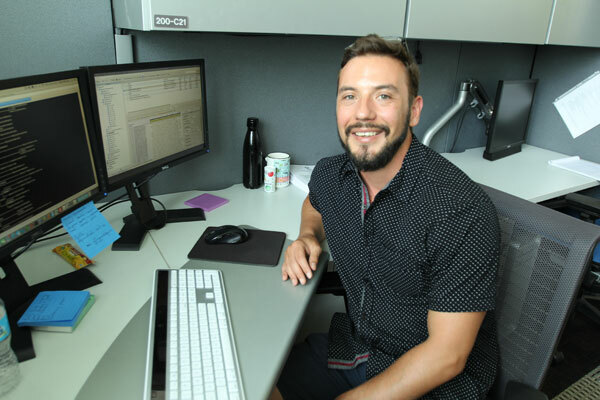 In addition to researching Cholera, the Salemi Lab also includes Eduan Wilkinson, a postdoc studying HIV transmission in his native South Africa. Wilkinson is able to run 16,000 very large sequences on HiPerGator in one week, thanks to UFIT's ability to optimize job scripts and provide exceptional software. Dr. Eduan Wilkinson using HiPerGator supercomputer in Florida to analyze large HIV datasets from South Africa. Faculty and affiliated staff and students interested in utilizing HiPerGator may attend a Research Computing walk-in session, held each Wednesday at the Informatics Institute. A list of consulting and training services provided by Research Computing is available in the HiPerGator 2017-2018 brochure.